In the last post I wrote about beginning Clear’s Silat Groundfighting Techniques. There are many different Pentjak Silat and Kun Tao Silat / Kuntao Silat groundfighting techniques and some complete Silat Groundfighting styles such as Harimau. There are many different styles of Harimau and Harimau has become the general term for the groundfighting portion of most Silat arts in the archipelago. The most famous or known style of Harimau in the island chain is Ground Tiger which is mostly found in Malaysia but has spread to practically all of Micronesia. Clear’s Silat curriculum does include some Harimau but our more advanced Silat groundfighting techniques / method is primarily Monkey. This is partly due to Sigung Clear’s primary Kung Fu teacher Tyrone Jackson being a Monkey stylist and his nickname was the Fearless Monkey and Sigung Clear’s primary Kun Tao Silat / kuntao Silat teacher being Uncle Bill (Willem de Thouars) who spent part of his youth fighting with a monkey at the direction of one of his teachers. Both men teach (taught in the case of Tyrone who regrettably passed away a few years ago) many different styles but more often than not the monkey style shines through and is imparted to anyone who studies with them long term. I have been very fortunate to learn from both men and God must have intended for me to learn some Monkey style because I have been exposed to it now for just over 30 years. 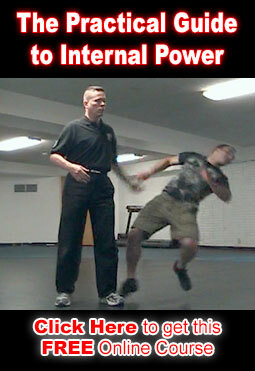 Anyway, some basic techniques for a person on the ground who is fighting a standing attacker include. Stomp and use the heels of your feet to break their toes and feet. Use your heels to break the ligaments and tendons around their ankles. Use your feet to rake through their knee cap. Use the point of your toe to hit them in the testicles / groin area. As they try to step in on you Wrap one of their legs with both of yours and take them down to the ground. When dropping them to the ground try to cause their knee and whatever other hard parts you can to impact with the ground hard enough to cause a break. After knocking / dropping them to the ground turn so that your legs are over them and then pound them as fast and hard as you can with your heels. After 8. kick them off and use your kick to roll away. Use the momentum of your roll to get up off of the ground in one single non-stop motion. Then Run. what is it with you and these great videos you’ve been putting online? Don’t you know you’re supposed to keep people in the dark for years, keep the art mysterious, feed people BS, charge them exorbitant prices for testing, and then eventually strip them of all rank and kick them out of your school and system over a minor dispute? No, but really, great stuff and it’s good to see people giving back to the perpetuation of the art in the united states.